Diwali, I just wanna rewind my life few decades back where I too was enthusiastic about this festival and would plan a month in advance on what all crackers I need to buy and would collect rates from different shops and would do comparison without the help of Excel and then will submit that chart to the finance minister of my house (my dad) and he will cross check the heaviness of each and every cracker and then will cut few from that list and finally what I will be getting is few roll capes and dot capes and few harmless / noise less crackers, still during that time Diwali was fun, I enjoyed getting up very early in the morning, the sheer jubilance of that day would make me feel happy and there used to be an informal race in my street of who would be the first person to light a cracker and there were diwali's where I have spent without even sleeping that night so that I would be the first person to light a cracker, but till date I never won that race as I used to have a neighbor who will burst a cracker as early as 3 AM and me being a very bold child, will not go and burst cracker without my dad. I am wondering where all those cheer disappeared. Diwali is still the same and the jubilance is still the same, but somehow the enjoyment factor is missing. The same cracker sound which sounded like Ilayaraaja's BGM when I was a kid is now irritating. I used to run from street to street in Mylapore to see who are all firing rocket, I admire the way that cracker works and my dad never used to get me that as he thought that it is dangerous. I believe in one thing, we should give every bit of joy to our loved one's at the age when they wanted to enjoy, today my dad will not tell a word if I go out and buy crackers even for Rs 5000, but I don’t have the thrill of joy to celebrate it now, it does not mean that he made me starve for happiness when every other kid was enjoying, not at all, within his budget and income he kept me as happy as possible and that is what he can afford for with his meager income. The best part of Diwali when I was a kid is, I used to play "Police and Thief" all on my own, what a single child will do then. Ours is a two storey house and our terrace used to have lots of plants that time, so I will hide behind one of the plant and be a thief and I come out and then search as a police and all these would be done with a "Roll Cape" fitted in my gun, and every turn I would fire one "bullet". I am not a person who enjoyed those noisy crackers, I used to like those match sticks, snake, fire stone, whip, sangu chakrams and pencil kind of harmless and noise less fireworks and during that time we used to have lots of mosquitoes in our house and my dad used to encourage me to fire snake inside the house so that the smoke will kill the mosquitoes. Once I kept a snake directly on the mosaic flooring and that left a dark black scar on the floor and my dad got really wild on seeing that, as usually MGR - Nambiyar fight started and I ran into the bathroom and locked the door, which is my favorite "bunker" to escape my dad's missiles. 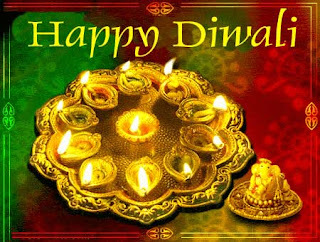 More than the Diwali day, the night before the diwali day is always the best, me and my set of friends will gather at a common place and then will go from house to house to check what all crackers each one of us have bought and we will make sure that we don’t touch anything that night. We will roam in the streets of Mylapore and simply watch those lovely "busvaanam's" and other fireworks which add glitter to the night, at times we will have a rupee or two in our pocket and that money would be like a lakh to us, we 5 friends will decide on how to spend that two rupee and we will finally settle in getting "kadalai mittaai" in our nearby "naattaar kadai", oh yeah, certainly life was much happier than what it is today. Now we 5 friends are still in touch and we all have more money than before, but those good times will never come again. Not even for my exams I would worry if my alarm fails to ring, but for diwali, I would test my alarm many times to see that it properly works and I will wait for 4 AM, so that I get up and take bath and wear my new dress and be ready with a candle and that long stick agarbathi to fire my crackers. "I am sure, my life is not going to be the same again and I need to find new ways to enjoy my life and keep myself occupied,"
Anyways Diwali is a occasion to celebrate...so keep aside everything else and celebrate!! Well... Shylu and Satish - you both seem to have such dampened spirits... next time both of u are cordially invited to my place..... i am sure u get a different zing! hope u had fun during diwali. Ithukkuthaan enga club la seranumngarthu. Appo ellame exciting and fun a irukkum. By the way a small suggestion, why dont u change the "slippers thrown" into comments as usual. Somehow it sounds odd and not good. Its just a suggestion.